This watch is also known as: GTC077WGML096C , GTC077-WG-ML096-C , GTC077.WG.ML096.C . 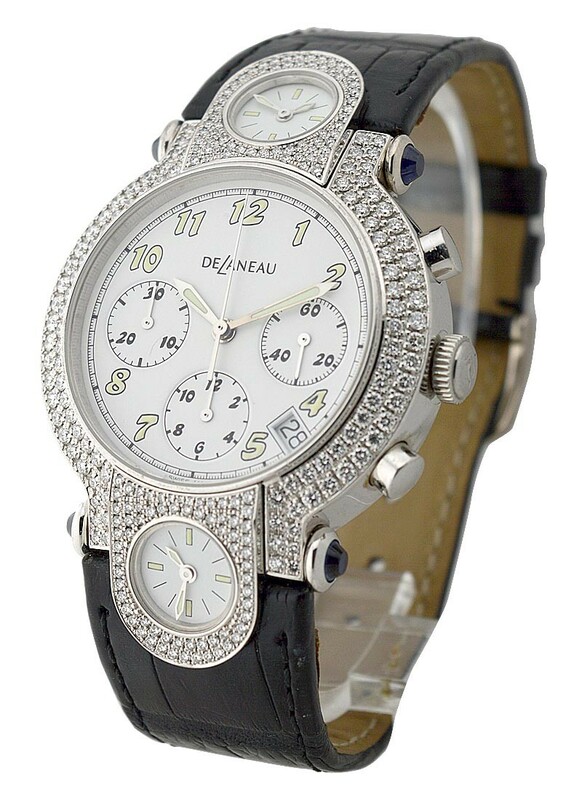 The Delaneau GTC077 WG ML096 C 3 Time Zone Chronograph watch is designed in 18K White Gold with a diamond bezel. 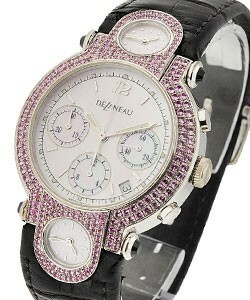 The Strap is adorned with various dials. The case measures 36.75 mm. 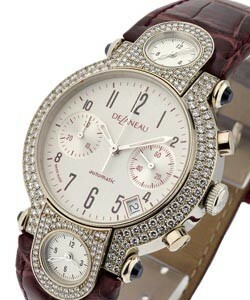 It is equipped with the automatic movement with two time zones. 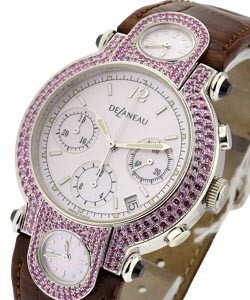 Delaneau is renowned for their jewelry watches and jeweled timepieces.